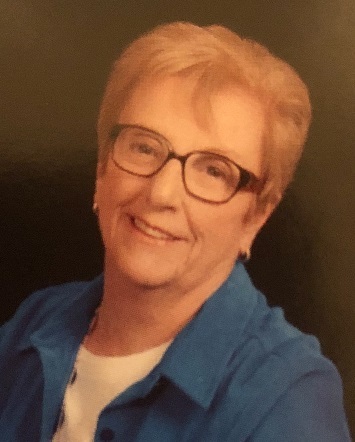 Kathleen McDonald Claussen, 81, of North Little Rock passed away April 4, 2019. She was born December 16, 1937 in Little Rock to the late Kathryn and Everett McDonald. She was a member of Immaculate Conception Catholic Church and of the Catholic Daughters. Kathleen was a Vice President at Regions Bank, a member of NLR Women’s Club and a devoted Razorback Fan. She was a loving mother and took great pride in her grandchildren and great-grandchildren. Survivors include a daughter, Karen Powell and her husband Vince; grandchildren, Jordan Powell (Robin), Laura Rittenhouse (Andy), Natalie Lewis (Zackary), and Tyler Powell; two great-grandchildren, Everett Powell and Jude Rittenhouse. Her only son, Michael “Mike” Claussen, preceded her in death. Memorials may be made to Immaculate Conception Catholic Church, 7000 JFK Blvd., North Little Rock, AR 72116. Visitation will begin at 6:00 PM, Monday, April 8, 2019, followed by a Rosary at 7:15 PM at Smith-North Little Rock Funeral Home. Mass of Christian Burial will be at 10:00 AM, Tuesday, April 9, 2019 at Immaculate Conception Catholic Church. A private burial will be held at Edgewood Memorial Park at a later date.